Declarations of Trust and joint ownership can become confusing, and having legal help and advice to guide you through them is essential. When each party purchasing a property are doing so in each of their names, these parties will own the estate as joint tenants, which means they are then entitled to an equal share of the property. However, if the parties are ‘tenants in common’, then they can hold the property in equal or unequal shares. In situations like this, it is often prudent to make an express declaration of trust to confirm the parties’ interest in the property. Declarations of Trust arise when the legal owner shown on the title, is not the same as the equitable, or ‘true’ owner of the property. In the example of tenants in common who have unequal shares of the property, one party may hold a portion of the property on trust for the other party, in recognition of the fact that they are both legal owners, but the other party owns more than half of the property. Declarations of Trust are also useful in other situations. For example, no more than 4 people are able to hold the legal title for a property, so in the case of where more than 4 people purchase a property, the 4 legal owners make a declaration of trust to say that they are holding the property on trust for the other equitable owners. They can also be used when it would be difficult to transfer the legal title, such as transferring a property to a spouse, or when beneficiaries of a Will are under 18. 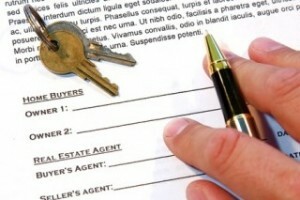 It is easy to see how Declarations of Trust can become incredibly confusing, and how disputes may quite easily arise over the ownership and true owners of a property. However, in the absence of a Declaration of Trust, the situation can be even more complicated and court rulings may even be needed in some cases. At our practice, we have years of experience in dealing with all aspects of property law, including Declarations of Trust and Joint Ownership. We appreciate that it can be difficult to get your head around all of the legal formalities and required processes needed to set up a Declaration of Trust, but we do encourage that you do so. It will help to avoid the possibility of dispute, or the risk that the court may divide your property in a different way than you originally intended. At Sam Hawking Property Lawyers, we are able to provide expert legal help and advice throughout all aspects of property law, and you can be confident that we will smoothly walk you through all of the required processes.